We will incorporate your instructions as to allocation / division of assets, designation of executors, appointment of guardians for minor children, funeral & burial arrangements and any other specific intentions that you may have. One individual will is prepared. Spouses that have the same intentions as to allocation / division of assets, appointment of executors and guardians can mirror their Wills. Two Wills are prepared as a reflection of each other. A Power of Attorney for property can be created for you to appoint a person to manage your affairs in the event that you are physically or mentally incapacitated or otherwise unable to do so. You may also grant a separate Power of Attorney for personal care to empower someone to carry out your wishes in respect to medical treatment, healthcare and other personal choice decisions. Whatever your intentions are they can be incorporated into a single, simple document. We can prepare a “Family Package” to include 2 reciprocal Wills and 4 Powers of Attorney (both property and personal care). 6 legal documents in all at a cost of 675.00 +HST. A saving of $340.00. To make an appointment, please call Levesque Law Office at 506-458-8171 or send us an email at lalaw@nb.sympatico.ca. 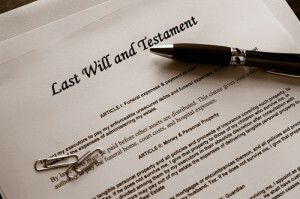 * + HST The prices quoted above are for uncomplicated wills and powers of attorney. For complex matters additional fees will apply. No taxation or estate planning advice is given.